I think there must be as many French sauces as there are French chefs and just as many variations on those sauces. 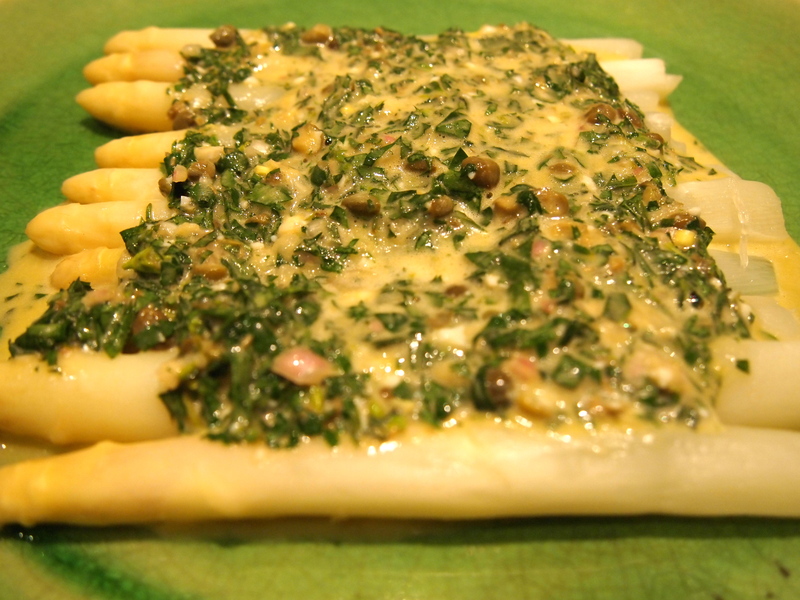 Gribiche is another of those classic French sauces that’s been around forever. It’s a mayonnaise style cold egg sauce but instead of using raw egg yolk as in a mayonnaise, it’s emulsified using hard-boiled egg and mustard. Shallots, capers and herbs are added as well. You can play around with the herbs you use but I particularly like tarragon and lots of it. 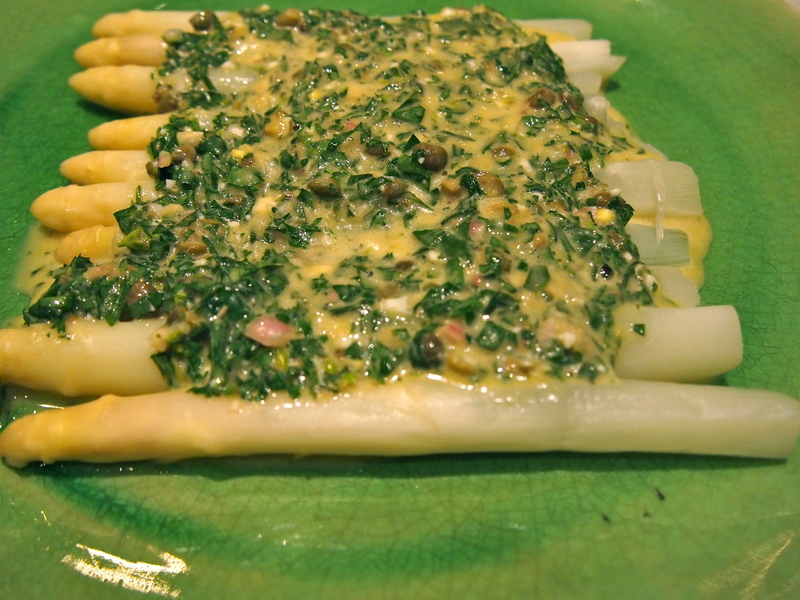 It can be used to top just about anything but it goes particularly well with warm asparagus. Talking about variations, the recipe below which is adapted from the Zuni Cafe cookbook is a bit of a rif on the classic Gribiche in that the egg is only coddled and not hard boiled. Not being a fan of hard boiled egg whites this is much more appealing to me. Make this sauce once and you’ll be soon be spooning it onto everything from cold chicken, to fish, as a dressing for a potato salad and even with a grilled steak. Place the mustard, vinegar, shallots, and a good pinch of salt into a bowl and let sit for a while to infuse while you cook the egg. 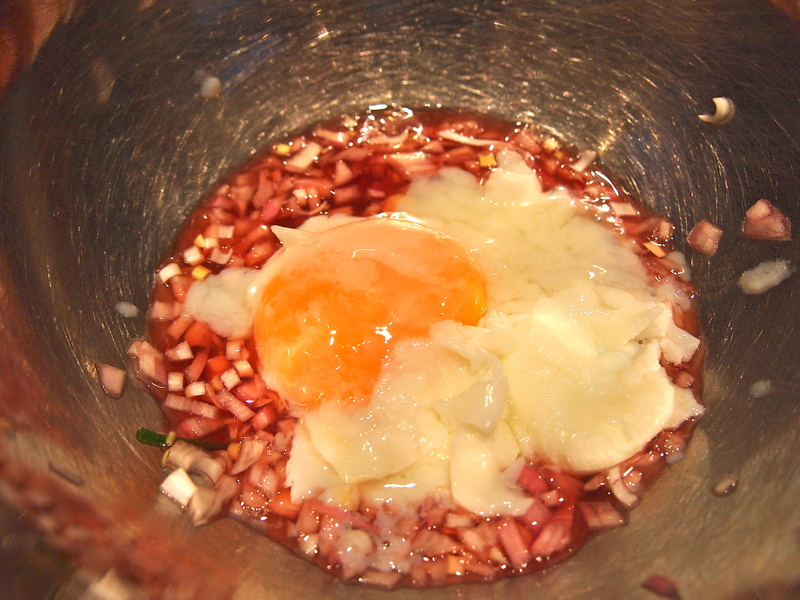 Bring a small pot of water to a simmer and carefully lower in the egg. Bring to a boil, then turn down to simmer for 4 minutes. Remove and cool completely under a cold faucet, or in a bowl of ice water. Carefully remove the shell and add the egg to the mustard and vinegar mixture, mash lightly to combine, then drizzle in the oil very slowly, whisking vigorously, to create an emulsion. 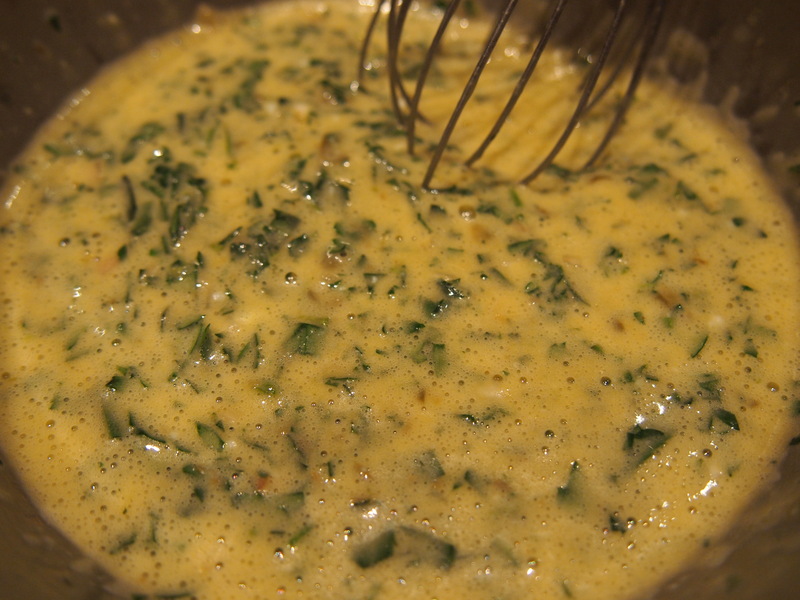 You can add the oil a little more quickly once a good emulsion has been formed, whisking all the while. Add the herbs and capers and season to taste with salt and more vinegar.